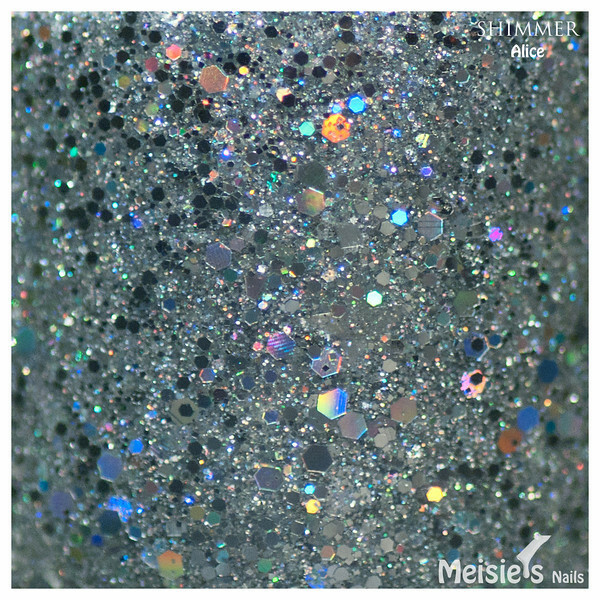 Wanna see another Shimmer Polish beauty?! Let me introduce you to Alice! 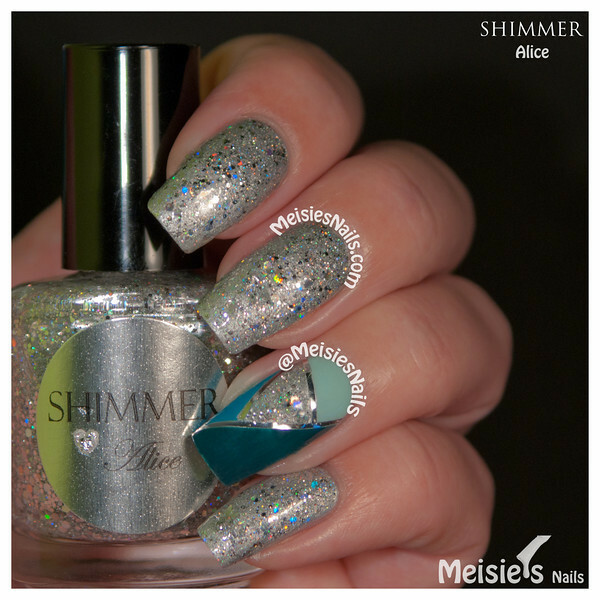 Alice is a clear base polish with loads of holographic silver hexes in many sizes and holographic silver stars. The stars are hard to find in the mix and may require some fishing though. It's not vey noticeable, but there's a star on my middle finger and one on my pinky in the swatch above.